A Faith Post… Religious Freedom! I will have more on this I am sure but I wanted to point something out to you. In many places in the world it is a crime to live out your faith. Right now, an American citizen is being held in prison in Iran for his faith in Christ. His name is Pastor Saeed. He has been sentenced to 8 year for basically nothing. The US, our President Obama, is for all intensive purposes ignoring the entire situation. Today, right now as I type this, there are people in front of the White House in Washington DC praying and demonstrating to bring attention to this atrocity. Some will be arrested. My husband is among those gathered there today. Please, if you pray, PRAY! Pray something is done for Pastor Saeed. Pray for religious freedom across the world. Pray for God and the leaders in this country and elsewhere to be moved to make freedom of religion a reality EVERYWHERE! I always enjoy discovering a person I admire happens to be a Christian. Christians are anything but perfect and I’m not saying I suddenly expect this person to be all perfect in some way. It’s mostly about enjoying sharing something in common and… since I do believe you need to accept Jesus as your savior in order to have a place in Heaven… I have a sense of peace for this person. No it doesn’t mean I don’t like you if you are not Christian. It doesn’t mean that at all. So please don’t go there. My recent fellow Christian discovery is Scott Kelby. He writes books about photography and photoshop. He seems to know everything there is to know about photoshop. He runs a fantastic resource called the National Association of Photoshop Professionals or NAPP . Basically the guy is great at about everything he decides to do. He is a gifted teacher and writer. He able to explain the complex in a way that everyone understands. I discovered he is a Christian when I stumbled upon a post on his Facebook page. It appears he wrote a new book, not about photography or photoshop as is usual for him but a book about Jesus for those who do not believe in Jesus. The book is called It’s a Jesus Thing and you can get it from Amazon of course. Scott says the proceeds go to charity. He even posted a video of himself going into a bit of the story of exactly how this book came to be. How COOL! The man is stepping out of the box, using his well known name, to share his faith. I should take some lessons. This is amazing! And then the poop hit the fan! I couldn’t believe it! Or maybe I could because this isn’t the first time I’ve seen something like this. All of a sudden people started literally ATTACKING the man on his Facebook page. Here are some quotes… yes I left off the names. Ah! As I’m reading through the comments I’m realizing Scott most have deleted the most vicious ones. There are still a few doozies here though that you’ll get what I’m talking about. This is disappointing. I had no idea you were religious. I’ve always enjoyed your photography instructional material. Your Lightroom books have helped me tremendously. This taints it all. Now, instead of seeing a tremendously talented photographer, I will see just another religious hack making money selling Jesus books to the gullible. I wish I hadn’t seen this post. It’s no big deal, but learning that one of your heroes is not what you thought he was is a little disheartening. It’s like learning that your favorite professional athlete is a drug addict. Hmmm…wasn’t expecting this type of thing from you Scott. …was hoping you’d stay out of this and stick to photography. I’ll pass. The only invisible friend I need is the one that connects my Nikon to my flash guns! I follow Scott and Kelby Training because of his/their skill at teaching photography. Scott is welcome to publish books on any subject he pleases but I take offence using this platform to push his religious beliefs. You must understand Scott, that the majority of people that follow you here, do so because of your Photography and training. I would be interested to hear Scott’s thoughts on the matter. Most of us could not care less what Scott believes or does not believe in. It is unethical to use his photo following to push his personal beliefs. Not a single person here clicked LIKE because Scott believes in some god but for photography related topics. Many photogs received negative feedback when they posted pro or anti gun related thoughts after the Newton shootings and they deserved it, just like the negative feedback Scott is getting is justified. I, like others, am a “FAN” of this page because of photography related topics..not because of his thoughts on the current popular deity. It is getting old to see this…Scott, keep it photography related. Please. Hey Scott, what about the guys who wanna-believe that Elvis is still alive but can’t, because there is too much evidence against it? Will you write a book for them, too? Plenty of people jumped in to Scott’s defense. But still! WHY was this needed? The man wrote a book about what he believes in. Why must people be nasty to him about it? Why the attacks? I don’t understand. This actually happened to me personally once. I was a part of a discussion forum for mother’s. Someone posted a thread asking people to talk about how it came to be that they become stay at home moms. So I shared my story. I used terms like “I felt led to…” and “in my heart I felt…” I never once mentioned God, or Jesus, or ANYTHING like that. I knew that wasn’t welcome talk on this forum. I had seen other women RAKED over the coals for using such taboo words. Suddenly I found myself the target of attacks. I was reading things like “I did NOT ask to be proselytized too.” And… “This is a SECULAR board, no Jesus talk is allowed here! We do not allow intolerance!” So I cracked up at the last one! Who is being intolerant? The SAME thing happened on homeschool yahoo group. 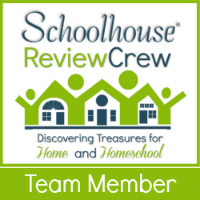 The group is called CT INCLUSIVE HOMESCHOOLERS. Do you see that word inclusive here? Well this poor woman accidentally sent an email to the entire board instead of one intended person. She closed her message with the words… “I’ll pray for you.” The next thing I knew the board was flooded with ANGRY words about how that is not… I kid you not… TOLERATED on this board. So all of this has left me scratching my head. Why do we attack one another for our beliefs? If someone believes something you don’t why make a deal of it? I’d love to hear some thoughts on this! Oh something just occurred to me. If you come here for photography you might not like me talking religion!